As summer approaches, the weather gets hotter and you do a lot of traveling, stay hydrated without the fear of spills and warm water with Contigo’s water bottles and travel mugs feature AUTOSEAL and AUTOSPOUT technologies that offer convenient, one-handed drinking solutions to make commuting or traveling easier on you, your clothes and your car. Contigo is a leading producer of innovative travel mugs, water bottles and kids’ cups and my new favorite water bottle and travel mug company! Contigo’s famous AUTOSEAL® technology is now available with a handle! This is now my go to travel mug whenever I want to keep my coffee hot but need to be on the go! The bright color is so much fun and I never lose it now! :) But most of all, I love the AUTOSEAL lid that doesn't spill and is easy to open with only one hand (which is all I ever have!). Spill-proof mug retains beverage temperatures for hours! This mug is similar to the Randolph mug above but it is larger in size and is perfect for my husband who drinks more coffee than me and travels more! It fits perfectly in his cup holder and can be drank easily while driving and walking! 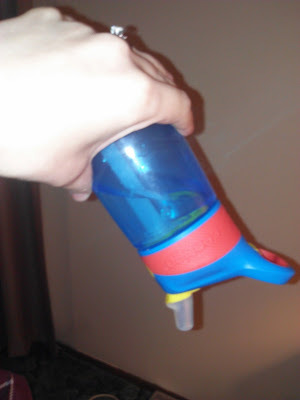 AUTOSPOUT® one touch drink spout for quick and easy one-handed drinking! This water bottle is keeping us hydrated this summer with its large size and one button drink spout! 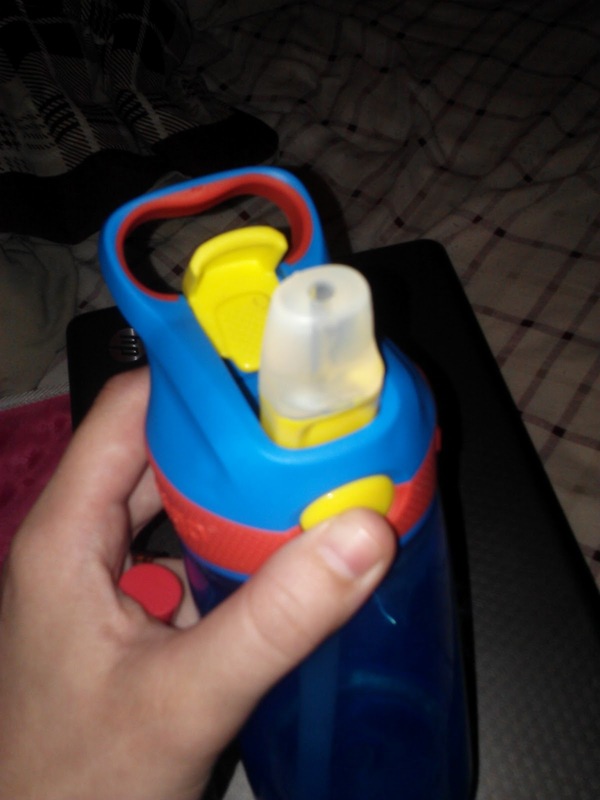 I love that it stays clean and spill free so I don't have to spend my time wiping up water messes! Plus, it can be washed easily in the dishwasher! NEW AUTOSPOUT® one touch drink spout for quick and easy one-handed opening and drinking! 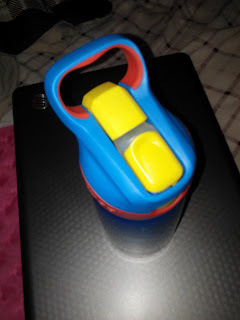 I have been searching and searching for a kids' water bottle that won't spill but can easily be drank from with my one year old AND three year old. I was tired of sticking their old bottles in my purse and then having a sopping wet purse and ruined things. 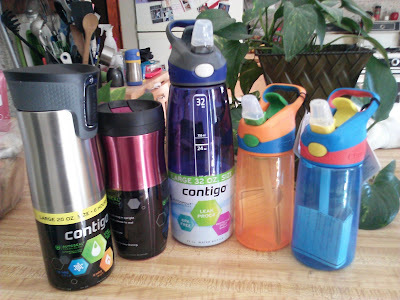 So when I saw this easy to open, no spill, straw cups from Contigo, I was so excited to try them! And they are perfect! 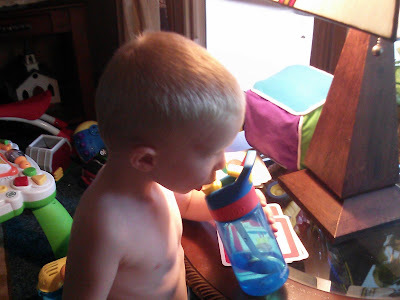 Both children can drink from them, they DON'T spill and they come in fun colors! So no matter what you are drinking this summer, you can find a new water bottle or mug to stay hydrated this summer whether you are traveling, enjoying the sun, or enjoying your daily coffee! Buy It: You can purchase all these bottles (and so many more!) from the Contigo website. And make sure to use the Promo Code COMMUTERPROMO to get 20% off your purchase from GoContigo.com. Win It: Contigo is generously offering these (5) Contigo bottles/mugs that I reviewed above (AUTOSEAL® Randolph Stainless Steel Travel Mug (Vacuum Insulated) with Button Lock - 16 oz, AUTOSEAL® West Loop Stainless Steel Travel Mug (Vacuum Insulated) - 20 oz., AUTOSPOUT® Addison Water Bottle - 32 oz, (2) AUTOSPOUT® Kids Striker Water Bottles) to a lucky winner!